Description: Lightweight, stylish hat made from natural straw. Classic fedora shape that makes it perfect for a range of applications for both men, women and kids. Available in S/M and L/XL sizes. Straw construction | Classic fedora design | Curved brim | Shown with 4136 hatband (hatband size 40mm high) | Hat bands sold separately. Tacking of hat band to hat highly recommended. Colours: Natural. 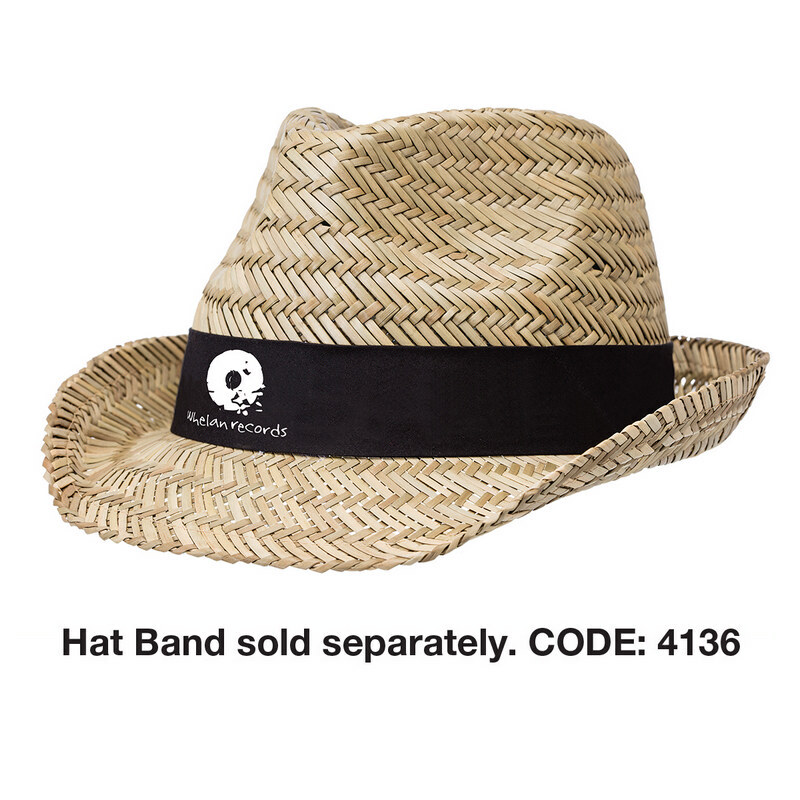 Decoration Areas: Sublimated Hatbands.